Father’s Day is just around the corner which means that my Sunday Supper family is making sure we are all prepared to pamper dads everywhere. My dad is not one to dive into the kitchen….ever! Well, almost ever. Growing up, Dad made one dish – Toad in the Hole. You may know this as a different name. Dad would take a piece of bread, cut a hole in the middle, pop an egg into the hole and cook it on the stove. American cheese would go over the top if we were really good. Dad definitely has his favorites to eat like Mom’s Strawberry Pie and of course Lemon Meringue Pie. This year I decided to make something that would be perfect to make for Dad, although I must admit that Banana Berry Bread may be a tad too busy for my dad’s happiness. You see, when I was at the Food Wine Conference this year I met the fab folks from Stoneridge Orchards. They were giving samples of their chocolate covered strawberries and chocolate covered cherries. I kept going back for more of these as well as packages of a variety of dried fruits. Fast forward and I came home knowing I had to make something special with all of my goodies. I had several bananas that were perfect for baking and put two and two together and realized Banana Berry Bread could really work well. I did not want to add the dried fruit directly into the batter from the packages so instead, I cooked them on the stove with some orange juice to rehydrate them. This worked beautifully as the berries were nice and plump. I hope your dad enjoys Banana Berry Bread as much as I enjoyed making it. 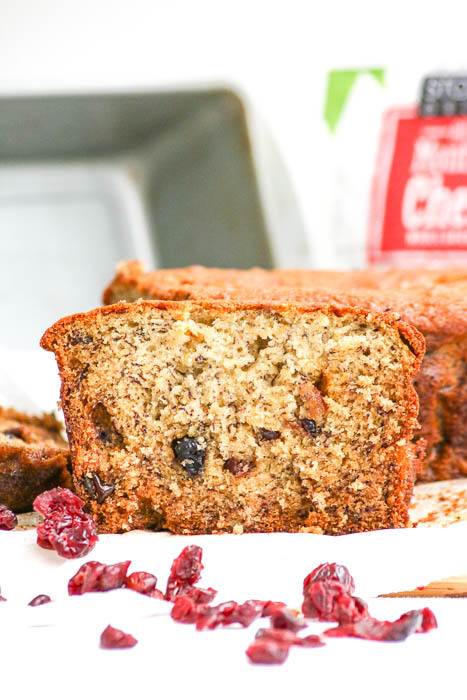 Banana Berry Bread is wonderful to use for French Toast. Place the berries and orange juice into a small saucepan. Bring to a boil. Cover and continue to cook just until the liquid has evaporated. Set aside to cool completely. Preheat the oven to 325°. Line a 9" x 5" baking pan with parchment paper and set aside. Whisk together the flour, baking soda and salt. Set aside. Cream the butter and sugar together until light and fluffy, about three minutes. Blend in the bananas. Add the eggs, one at a time. Blend in half of the dry ingredients followed by the sour cream and vanilla. Add the remaining dry ingredients. Remove from the mixer and fold in the cooled berries. Transfer the mixture to the prepared pan. Bake at 325° for 40 - 45 minutes, rotating the pan front to back halfway through. Remove from the oven and cool completely. 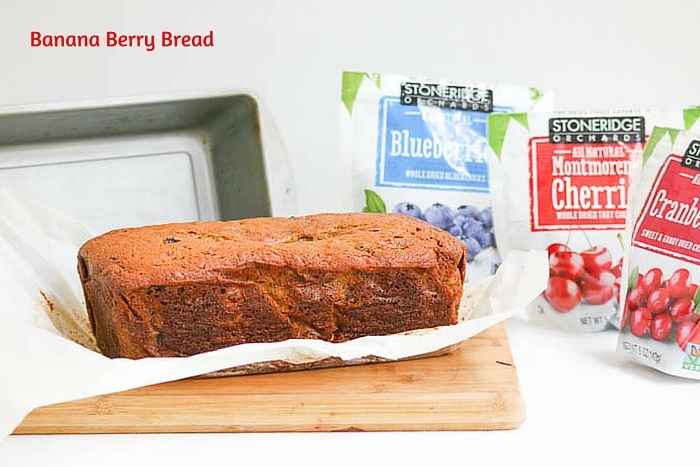 Lift the parchment paper out of the pan, peel it back and slice the Banana Berry Bread. 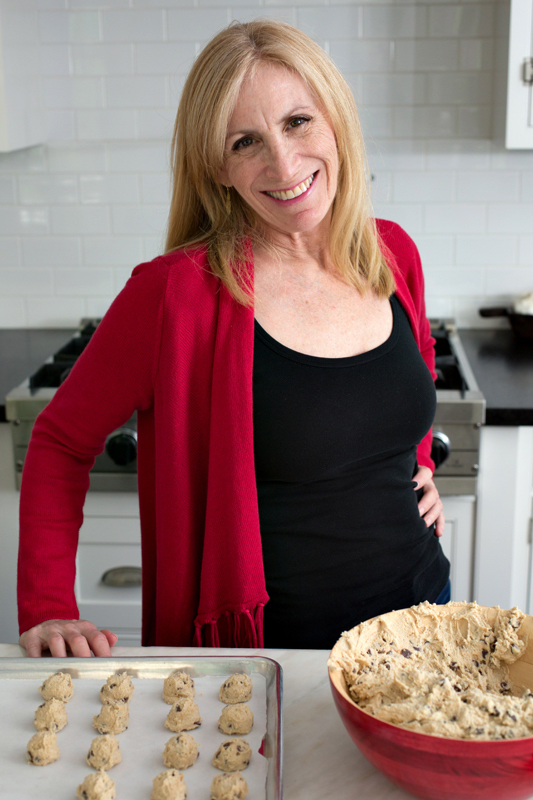 Many thanks to Sarah of The Chef Next Door for hosting this week’s Sunday Supper event. Please be sure to check out the other wonderful recipes sure to please dads everywhere. Beerinara by What Smells So Good? Yes, please!! I need a big slab for my breakfast this morning!! Darn it, Betsy, why do you live so far away???! We seriously have to change this, Liz! I DROOL over every single thing you post. Florida is LOVELY…I think you guys should move here! Very nice! Bananas and berries are the best combination. One of my favourites. Lucky Dad. You are so sweet, Kim. Thank you. Betsy, this looks so good!! I love the combination! Thanks very much. I was thrilled at how well the combination worked! Actually Betsy I think that your dad would really enjoy this. I have added either blueberries or strawberries (fresh) to banana bread mixture with good results. I’ll have to try the dried fruits when I don’t have fresh berries available. 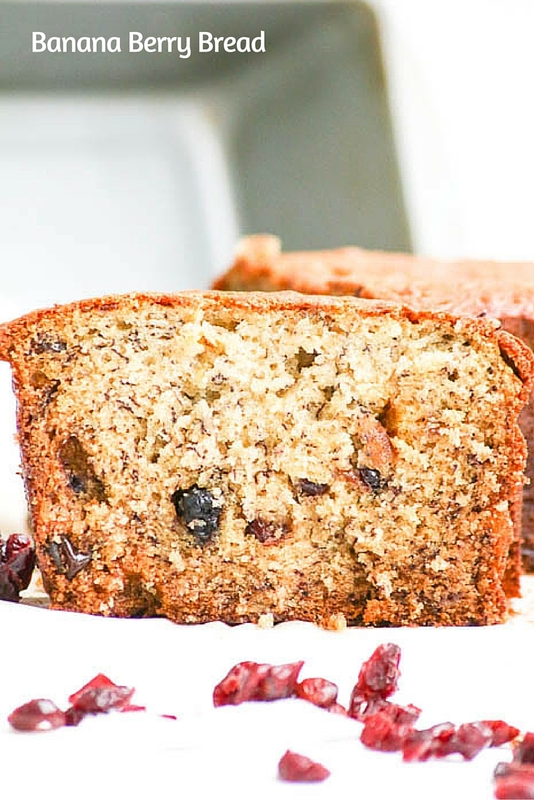 I love adding fresh fruit to banana bread, but I bet dried fruit is an awesome addition too. 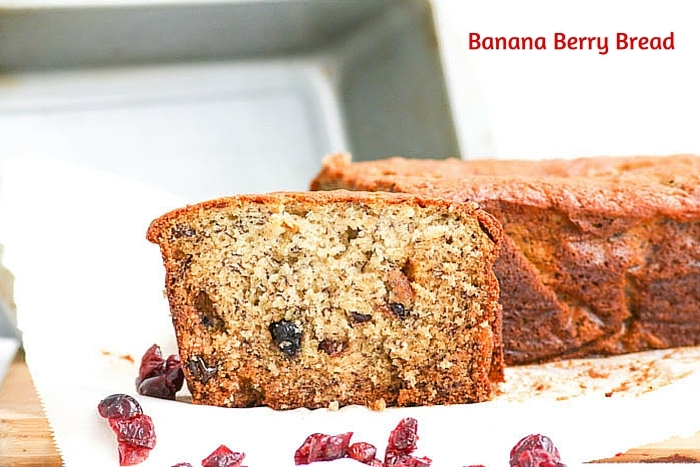 The dried fruit rehydrated in orange juice is incredible in this Banana Bread. Dad’s Toad in the Hole was a favorite! Love the idea of rehydrating the dried fruit before going into the batter! It makes a huge difference in terms of the consistency of the fruit. This is genius! I have some bananas in the freezer I’ve been saving to make Banana bread and I have lots of the fruit packs from #FWCon. I’m babysitting the Grandchildren on Friday – This will be our project. You have to let me know how it goes, Monica. BTW….I can’t believe you are a grandmother!! Thank your parents for amazing genes! Oh my goodness, that looks delicious Betsy! Thanks so very much, Connie! I would love a slice of this punched up banana bread. Anytime! It is a very good pick-me-up type of bread.